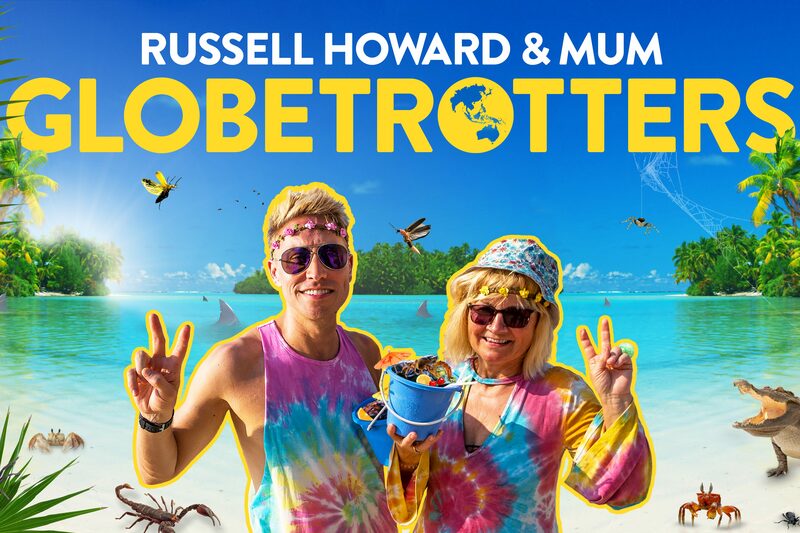 Following on from their incredible adventures in the USA, RUSSELL HOWARD and his mum NINETTE HOWARD further broaden their horizons with a trip to the world’s largest continent for a taste of Asia. On their tour, they step back in time to become ultimate assassins in Japan and embark on a more futuristic venture to high tech Seoul, South Korea to observe the rise of the machines. The duo squeeze the gap year they never had into one week on the travellers’ paradise island Koh Phangan, Thailand. In Mumbai, The City Of Dreams, RUSSELL and NINETTE enrol in a 5-star acting academy, boasting Slumdog Millionaire protégés, to learn what it takes to make it in Bollywood. On a visit to Vietnam’s capital Hanoi, they lend their hands to folkloric water puppetry before heading away from the hustle and bustle of town to compete in a rural Olympics. The journey ends communing with nature in Northern Thailand, Chiang Mai. The highly anticipated series premiered on Comedy Central UK in January 2019, with the first episode achieving a share that was four times higher than the benchmark.